PORTLAND, Ore. – From June 11 through 21, breweries throughout the city will celebrate Portland Beer Week. As part of the festivities, Ecliptic Brewing will be celebrating by participating in a series of events, including the return of its popular Brewers and their Bands. For the second year in a row, Brewers and their Bands will bring together brewers from throughout Oregon to perform with their bands at Ecliptic. 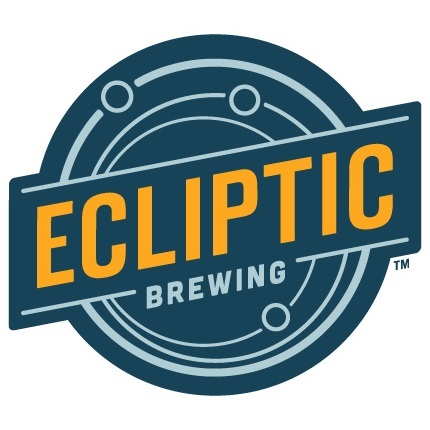 During the performances, Ecliptic will tap beers from each brewer, including Matt Swihart from Double Mountain, Ron Gansberg from Cascade Brewing and Ecliptic’s own John Harris. The Brewers and Bands event will take place on Ecliptic’s new outdoor patio, which features 20 tables and seating for 120 with expansive views of the city. June 18 at 5:30 p.m.
At this year’s Portland Fruit Beer Fest, Ecliptic Brewing will premier its Ultra Violet Blackberry Sour Ale. June 12 from 4 p.m. through 9 p.m.
June 13 from 11 a.m. through 9 p.m.
June 14 from 11 a.m. through 6 p.m. In true “Keep Portland Weird” fashion, the Weird Beer Bonanza will share an eclectic mix of 16 bizarre brews. Ecliptic will pour its Moon Fruit Saison, a one-off beer infused with tropical fruit juice. June 17 from 5 p.m. through 10 p.m. Guests have the opportunity to meet the owners and brewmasters of their favorite Oregon’s breweries while enjoying their most-popular brews. Participating breweries include Ecliptic Brewing, Widmer Brothers Brewing, Double Mountain Brewery, The Commons, and more. June 19 at 4 p.m.
Back for its second year, the popular Mississippi and Williams Pub Crawl promises a day filled with guaranteed discounts, special drinks, rare beer tappings and food at nine locations along Mississippi and Williams, with more venues and specials still being added. Purchase a wristband for $5 at any participating location, or order in advance to have wristbands mailed to you (minimum two wristbands per mail order). Guaranteed $1 off drinks at every location. June 20 from noon through 8 p.m. Featuring more than 14 local handcrafted beers and food from some of Portland’s best restaurants, Whole Foods Market and Portland Beer Week’s Eat, Drink, Play will benefit Harper’s Playground, a non-profit organization inspiring vital communities by creating innovative playgrounds for people of all abilities. June 20 from 2 p.m. through 6 p.m. Featuring 10 pairings of craft beers with cheese, the Portland Beer and Cheese Fest will also spotlight complimentary meats, charcuterie and artisan Woodblock Chocolate. Ecliptic will pour its Bourbon Barrel-Aged Coalsack Cascadian Dark Ale. June 21 from noon through 5 p.m.